According to the FDA, the amount of food dye certified for use was 12mg per capita per day in 1955, and by 2007, 59mg per capita per day was certified for use. Artificial colors are found almost everywhere, but many consumers are now becoming aware of adverse health effects that they may cause. Our children are most susceptible to them - especially because so many kids’ products are colored in such a way to make them more appealing, making them the most exposed to these harmful colors. Who can possibly resist these?! Many studies have shown that artificial colors may contribute to behavioral problems in kids, reduction in cognitive functions, and some have even linked cancer to some artificial food colors in animal studies. There’s tons of artificial colors out there, and they’re almost unavoidable. And that’s exactly why it’s important to be educated on these matters. So, what artificial colors should you avoid? Well, in a perfect world, all of them. But, let’s talk about the common ones that may have some alarming side effects. The most commonly used dye in the world. May interfere with brain-nerve transmission, causes hypersensitivity in some consumers, and might trigger hyperactivity in children. 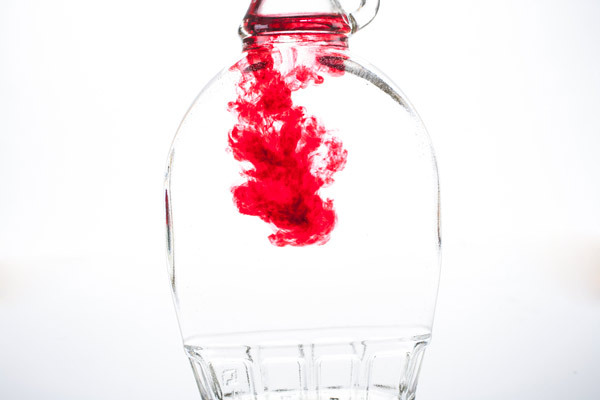 Found in maraschino cherries, cherry flavored mixes, candy, baked products, ice cream, and more. Banned in some parts of Europe. May cause damage to chromosomes and possibly cause kidney tumors. Found in candy, cereal, soft drinks, and sport drinks. Recognized as a carcinogen in animals in 1990 by the FDA. Proven to cause thyroid cancer and possibly chromosome damage. Found in sausage casings, baked goods, candy, and oral medication. Increases the number of kidney and adrenal gland tumors in lab animals. Yellow #6 is also referred to as Sunset Yellow. Found in baked goods, cereal, drinks, dessert powders, gelatin, sausage, cheese, and cosmetics. Linked to bladder cancer. Found in candy, cakes, baked goods, gelatin, and juices. Knowing that artificial colors are used in practically all we eat and drink is a bit concerning. They’re added in products to make them look more edible, but by doing so, makes it actually far less appetizing. It’s quite the Catch-22. However, things aren’t completely hopeless. There ARE alternatives. 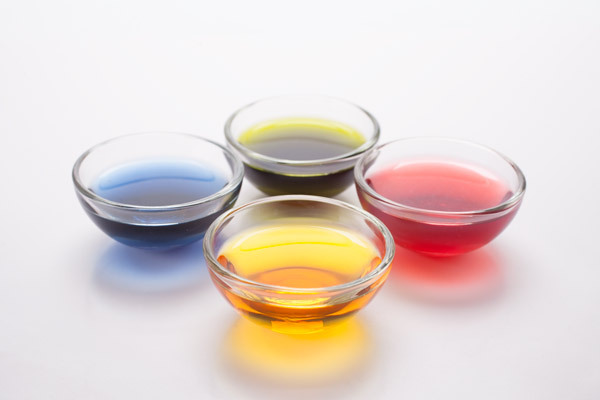 Natural and organic food colors are the perfect way to reduce our intake of artificial colors. We may not always be able to avoid artificial colors when we’re out looking to get a quick bite on the way to or from work, but it assures us that when we’re in the kitchen preparing a meal for the family, there’s nothing but natural ingredients in what we consume. At Nature’s Flavors, we give people an alternative to artificial ingredients and that’s why we carry both Natural Food Colors and Organic Food Colors from our sister company, Seelect Tea. We’ve taken artificial colors and recreated their hues with natural ingredients, so you simply have a choice in what ingredients you put into your body. We’ve even created an Organic Assorted Food Color Pack for those that would like to experiment. A little goes a long way with these colors. Colorful, organic, healthy, artificial-free goodness. Additionally, we’ve created a larger-sized sample set of our Rainbow Pack of Natural Food Colors for those that want to dive right in. 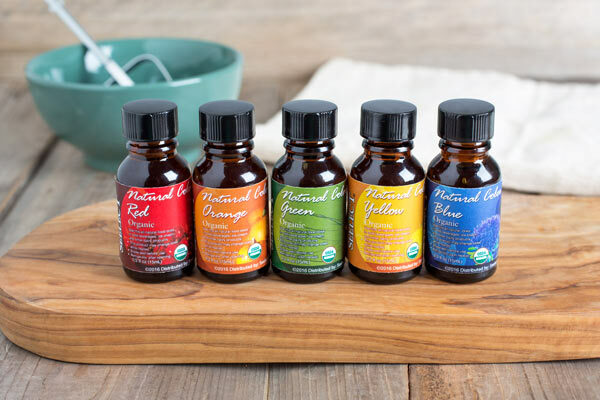 Natural food colors can be made at home, too, by puréeing and extracting beets, carrots, blueberries, basil, or whatever colored fruit, root, or vegetable you’d like to use that has great natural color. Do be mindful, however, that they will not only impart color, but some taste as well. Let us know what you think in the comments below or on our Facebook page or Instagram page.